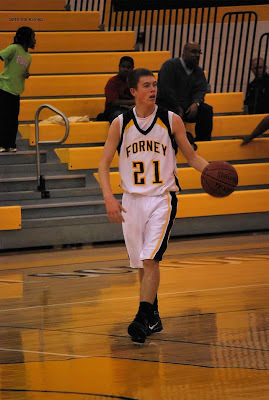 Terrell couldn't stop Forney's Jordan Hancock who scored 22 points in their 49-43 win over the Tigers. Terrell will have a chance to get even when Forney travels to Terrell on February 12th. More photos tomorrow morning and a Wednesday afternoon bonus.